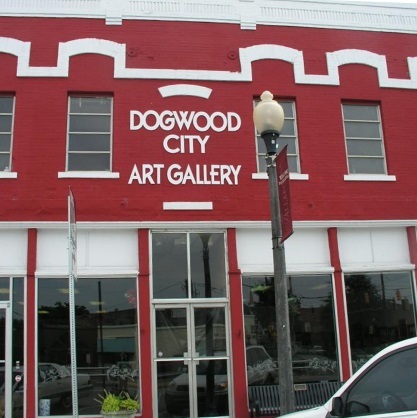 Dogwood City Art Gallery was created in 2012 as a place to give local and regional artists a voice. The gallery has more than 3,500 square feet of display space and combines modern illumination with clear, natural north light. Exhibitions are designed to promote the best works of new and established artists as well as attract those who seek more beautiful surroundings for themselves, their homes or business. The varied media include paintings, drawings, glass, ceramics, jewelry, sculpture, photography and textiles. Parking: Parking is available in a lot in front of the gallery.